Study: Fish oil helps fight arthritis, cancer, heart disease, depression by preventing inflammation – Are you getting enough? (Natural News) It’s no secret by now that omega-3 fatty acids are a highly beneficial nutrient. Many people are aware of the benefits of fish oil and other forms of omega-3 fatty acids, but actually getting enough of this valuable nutrient to reap its benefits still seems to be a difficult undertaking. One of the most important aspects of fish oil is its ability to reduce inflammation. Inflammation is an underlying issue in a host of different diseases and conditions. For example, taking a fish oil supplement is said to help mitigate arthritis, which is characterized by painful inflammation. Research has consistently shown that omega-3 fatty acids can help with other conditions such as heart disease, diabetes and cancer. Further, omega-3 fatty acids are essential for maintaining cognitive function and overall brain health. Several studies have demonstrated that taking a fish oil supplement may even help fight depression. The benefits of fish oil seem to know no bounds, but yet, research shows that most of us just aren’t getting enough. A new study published in the journal Nutrients shows that adults in most Western countries struggle to take in enough omega-3 fatty acids on a regular basis. In fact, 98 percent of the study’s participants had sub-optimum levels of omega-3 fatty acids in their blood. But in a world where fast food rules and nutrition is an afterthought, it probably comes as no surprise that the researcher’s results were so abysmal. As the researchers found, though most people knew that omega-3 fatty acids were great for their health, an astonishing few actually took in enough of the nutrient. How did they conduct their research? Researchers from Purdue University in the U.S. worked with a research team from the Ludwig Maximilians-Universitat Munchen in Germany; together, they surveyed over 200 adults from both countries during the spring of 2016. Both men and women from a wide range of ages were surveyed. The German and American cohorts were asked about their specific knowledge of omega-3 fatty acids, as well as their dietary habits and demographics. The researchers also collected the subjects’ body mass indices and blood samples to test for their Omega-3 Index. The Omega-3 Index measures the amount of omega-3 fatty acid in the blood. The researchers found that in both countries, over half of the study participants believed that a balanced diet was important for their health. But, more Germans felt that supplements were essential to achieving a balanced diet. While 26 percent of Germans felt supplementation was necessary, just 10 percent of Americans felt the same way. Conversely, 69 percent of Americans thought a balanced diet was necessary for good health, while just 56 percent of Germans held the same belief. Participants in both countries were aware that fish oil supplements were an important source of omega-3 fatty acids. According to the researchers, the ideal Omega-3 Index is 8; just two percent of the study participants across both countries managed to reach this ideal. The remaining 98 percent of participants fell below this threshold. In the US, most study participants fell between a range of 3.25 to 5.75. The German participants fared a bit better, but not by much. They boasted an average range of 4 to 6.25 on the Omega-3 Index. Is anyone surprised Americans scored lower than Germans? As the researchers concluded, the bulk of study participants had adequate knowledge on both the health benefits of omega-3 fatty acids and the usefulness of supplementation. In spite of this knowledge, the overwhelming majority lagged on their omega-3 intake. Even if you’re aware you should be getting more omega-3 fatty acids, it doesn’t mean you’re getting enough to actually reap its benefits and prevent disease. 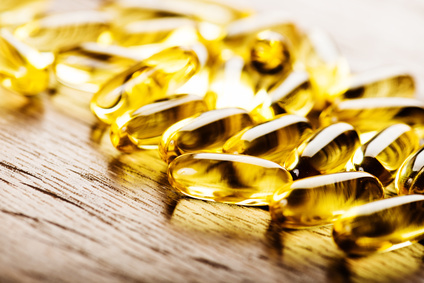 Do you think you’re getting enough omega-3, or is it time to talk to your naturopathic doctor about a supplement? Read FishOils.news for more reporting on the health benefits of fish oils. Mood Enhancing Supplements! – Do They Improve Your Work Performance?